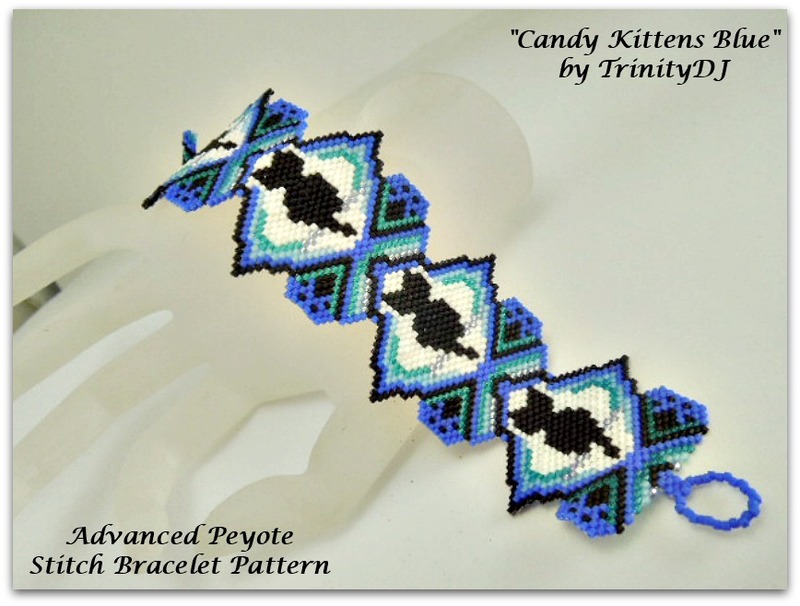 This is an increase and decrease peyote stitch bracelet pattern. Experience with increase and decrease peyote stitch is needed. The graph underneath the bracelet graph is for the toggle bar. Without the clasp the bracelet is 6.61" long. With the clasp it measures 7.08". 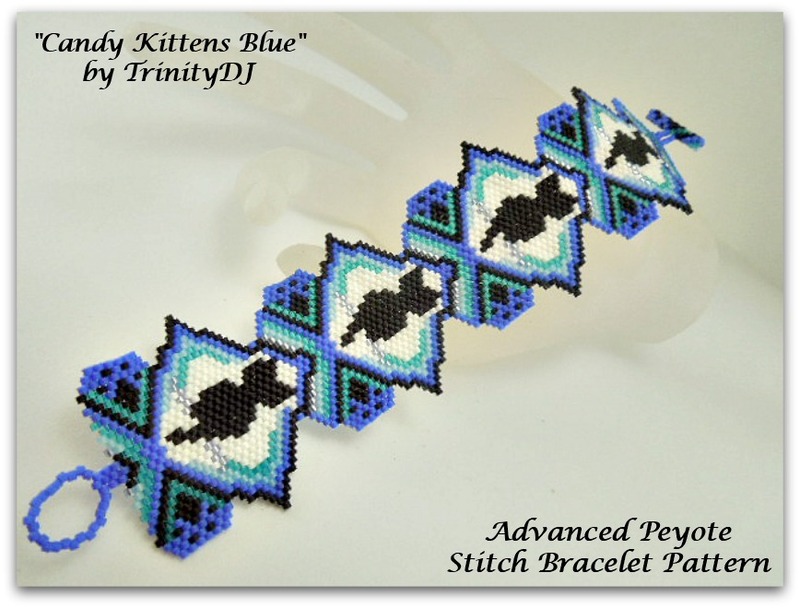 This pattern is designed for the use of Delica #11 beads and 5 lb nylon thread with #10 or #12 beading needle. Make sure to use a single 5lb nylon thread. A thicker thread will cause the bracelet to be too stiff to fold over your wrist. Instructions for increase and decrease peyote stitch are not included. A Word Chart is not included.